Safari is a web browser developed by Apple in January of 2003. It is the native internet browser of all Apple PCs, mac books and iOS gadgets. Safari 7 is the latest version of this browser and was released to public last June of 2013. Big improvements are noted with Safari 7 such as low memory use, revamped top site and side bar interface, shared link feature, etc. Along with the improved and much stable Safari browser, video streaming has also gained wide popularity. Today, users can view unlimited number of videos by simply connecting to the internet. From full length movies, latest TV shows, funny clips, educational videos to all others, these things can be easily watched online. However, streaming clips online requires you to connect to the internet all the time. To save your bandwidth and buffer waiting time, it is always best to download video contents to your hard drive. With online videos saved on your PC, you can watch clips over and over again without the internet or get them for portable playback. But for Mac users as well as non-technical users, how to download video in safari is a big struggle. Now the following guide will give you detailed information. The video downloading capability of safari browser is more of a hidden gem rather than an obvious feature. If you don’t want to install additional programs, browser plugins or extensions on your Apple PC all you need is safari browser and some skills. See these steps below. Make sure that you have the most recent version of safari installed on your Mac. 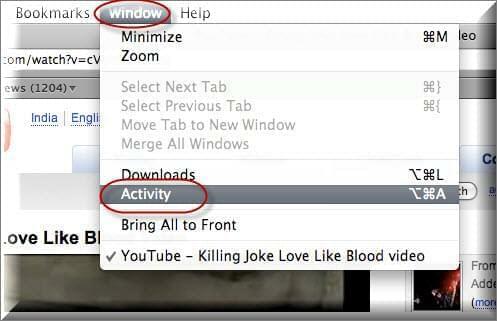 Click the “Window” tab and hit “Activity”. Head on to the website where you want to grab videos. Go back to “Activity” tab and select the largest file from the list. The safari browser is capable of downloading if you want to save some space on your hard drive. Aside from being totally free, using it is extremely easy – in a few scrolls, you can get the job done quickly. However, this function is not available any more for Safari 8.0 or later. Copy the URL of the video page with desired clip and visit Video Grabber’s website. On the blank search bar, simply paste the link you’ve just copied. Click the “Download” button to start downloading the video. Note that there will be a notification pop-up and you should click “Download Launcher” when prompted. Once downloaded and installed, the video will be downloaded automatically. And you don’t need to download it again when you want to download videos next time. Wait until fetching process completes. Just choose your preferred formats and resolutions, you can directly click the “Download” button beside the format to save it on your PC. Depending on the file size, this might take seconds to several minutes. 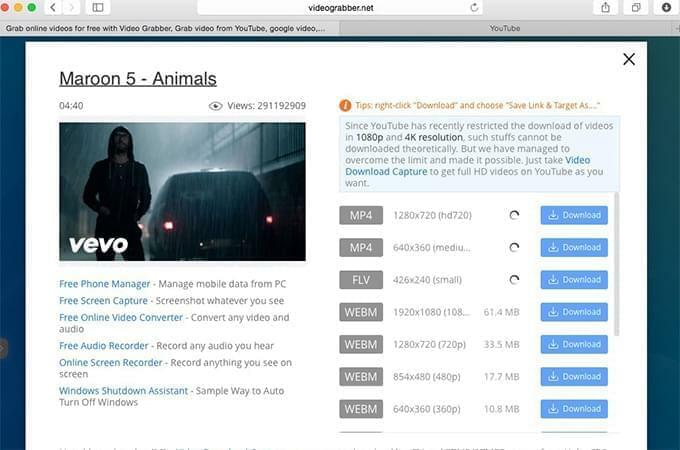 Compare to the native safari video downloader, Video Grabber is known to efficiently download videos from almost all websites and not just YouTube. Moreover, you can grab videos in three simple steps, no more guessing which file to download as well as video saving errors. Additionally, it works with all web browsers and not just safari alone. You can use it with Firefox, Chrome, Opera, Explorer and many more. 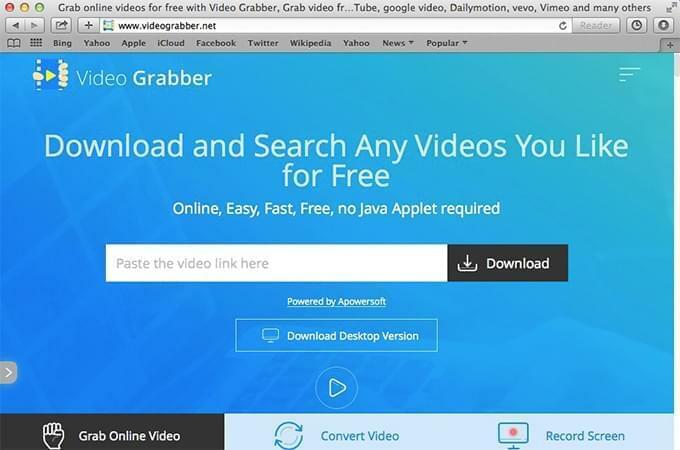 Lastly, Video Grabber is also provides users with more practical tools, such as Online Converter, Screen Recorder and Search engine. With them, you don’t have to download other media apps. You may use the simplified version of Video Grabber directly from below, it works in the same way and you could follow the instructions. If you want a more stable desktop application with no notification pop-ups or even video fetching process, check out Free Video Downloader for mac. 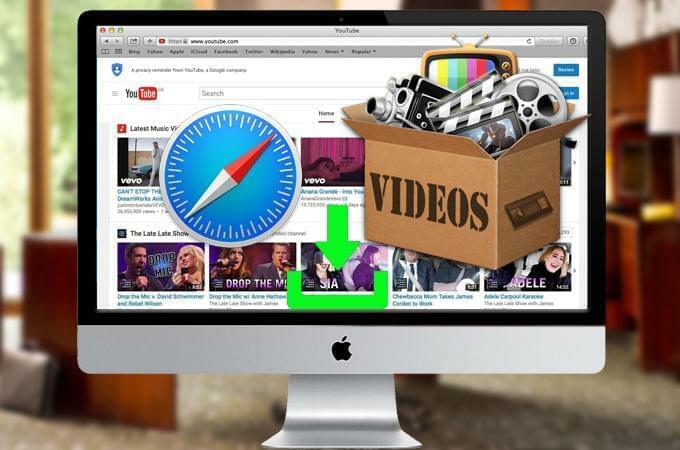 This software can download video from safari works with the latest OS X Mavericks very smoothly. It does not show any incompatible errors. Video Downloader for Mac supports different formats such as MP4, WMV, MOV, 3GP, WebM and all others while there is an option to choose from various video resolutions. You may get a quick start from the below download link. One great feature of the tool is that you can grab those videos running from HTTP, RTMP, MMS, FTP, RTSP, and HTTPS protocols without losing quality. Additionally, it comes with a file converter for modifying formats depending on your desires. As an alternative to video downloader for safari, this program can download and convert multiple files all at once letting you save great amount of time as well as effort. Other features include PC screen recorder, live video streaming capturer, video editor and more. I tried downloading video from different source aside from youtube, it will not download. Do you have any other software that can download any video for website? My OS is mac. Thanks for the post.